Do you have a hard time removing tough dirt and deep stains. Do you need to use the chemicals with your pressure washer? We have a solution for you: pressure washer chemical injector. We offer a unique resolution for you to apply any type of cleaning solution with any kind of pressure. Go to Chemical Injector page for FAQ’s. Add chemicals for heavy duty pressure washing job ! Placed on the inlet side of pump. Used to provide soap discharge at pressure washer's Maximum Pressure. To protect your pump use only pressure washer approved cleaning solutions (biodegradable). Apply soap at high presssure. Restricts waterflow to create suction. 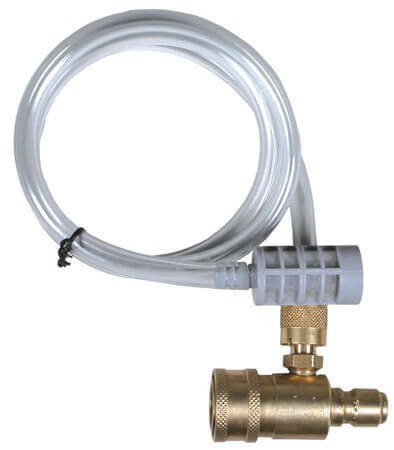 Includes Garden Hose Hex adapter 3/8"
Placed on the outlet side of the pump. Unique siphoning design draws chemicals or soap to aid in your cleaning flexibility. Be sure to use the black low pressure nozzle and open the adjusting knob on the injector when in use. May be used on high side or low side of the pump. 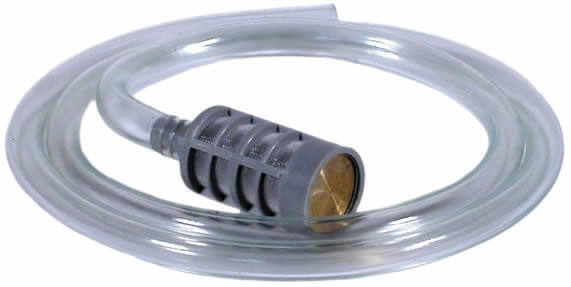 Adjustable flow orifice plus adjustable chemical valves. Standard features similar to SM-360162 above. Premier type injector. All metal parts are stainless steel. 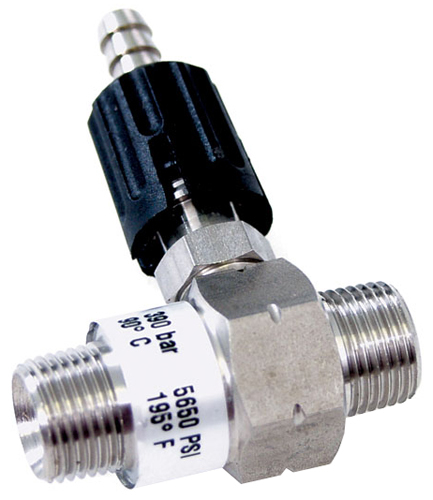 Snap on attachment to SM-360162, this chemical metering valve adjusts from "Off to Full" flow. It has glass-filled polyamide body, valve parts and Teflon seals. Will accept 1/4" hose barb. This X-Jet injector nozzle will allow you to spray chemicals, at maximum pressure, Since the chemicals do not run through the machine, this will save the pump, hoses, o-rings and other parts and components. Stainless steel construction provides high strength and chemical resistance. This tool propels a concentrated spray pattern up to 25-35 feet with significant impact. Unique chemical-siphoning system for introducing chemicals into the spray. Application: Connect the 1/4" quick connect to the tip of the wand, dip the filter into the chemical container, pull the trigger on the gun and the cleaning solution will be sucked in and mixed up with water. The mixed substance will then be sprayed out at high pressure. The X-JET long range nozzle is now available as the M-JET nozzle. The M-Jet has all the features of the X-JET except it comes with a variable nozzle on the outlet of the nozzle. The M-Jet is to be used on jobs where the zero degree impact of the original XJET is not required. MJET will inject and proportion soaps, chemicals, or other liquids at high pressure without going through your pump, hose, gun or lance. The MJET can project liquids to vertical heights over 40 feet depending upon the capability of your pressure washer. 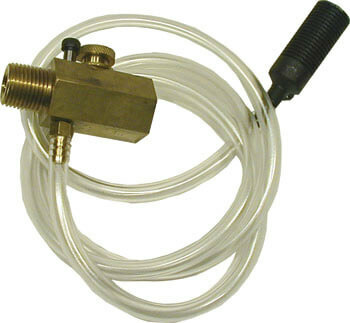 It can be used with virtually any pressure washer, hot or cold for 1000 PSI to 6000 PSI. Includes hose and suction filter. Available in 3, 4 and 6 feet lengths. Filters out abrasives found in chemicals and cleaning agents. 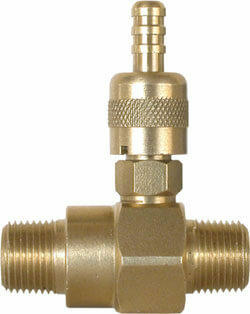 Check valve prevents back flow. Use the soap nozzle when applying chemical through you pressure washer. 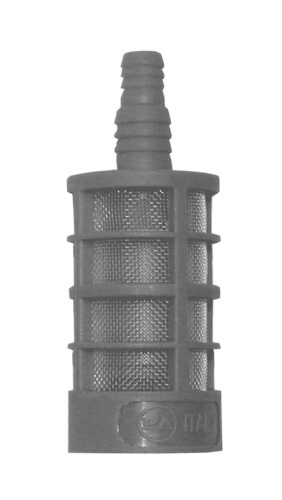 This nozzle will drop the pressure and will allow for the chemical injector to draw cleaning solutions from the container. 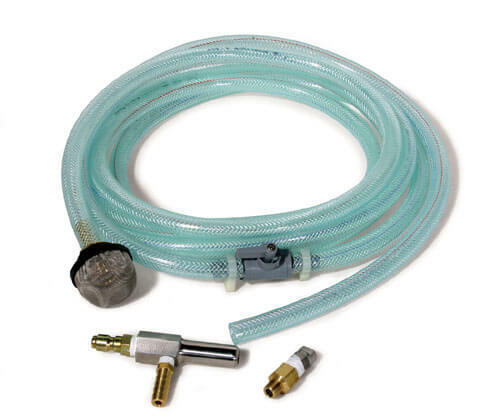 Pressure Washer Chemical Injector Kit consists of the soak suction filter, 6 FT of clear tube, adjustable knob, injector and 3/8” quick connect couplers. Operation: quick connect the pressure washer chemical injector on the outside (discharge side) of the pump. Place the soak suction filter into a container of your favorite chemical and attach the black low pressure soap nozzle to the tip of the wand. Start you pressure washer as normal and the pressure washer chemical injector will do the rest. When you are done applying cleaning solution onto the surface, turn off the chemical adjustable knob and replace the soap nozzle with a 0º (red color) or 15º (yellow color) nozzle to remove loosened dirt. There are two types of injectors: upstream and downstream injector. An upstream injector is installed on the inlet side of the pressure washer pump system. A downstream injector is installed on the outlet (discharge) side of the pump. The more commonly used one is the downstream injector. The advantage of the upstream injection is that the user will be able to apply the chemical with high pressure. The disadvantage is that by having the chemical run through the pump, the pump seals will wear out much quicker. The advantage of the downstream injector is that it is inexpensive and that the chemicals cannot damage the pump system; the disadvantage is that it can only be applied with low pressure output. Most of injectors are very simple devices with no moving parts and will little that can go wrong. If your injector stops working, look for causes external to the injector before you replace it! Choose from various size hand held sprayers to suit your chemical application needs. All models are high quality professional grade sprayers designed with high grade seals and plastic for long term and safe use. Constructed with the same reliable materials, but are capable of operating with the same amount of pressure on both sides of the valve. Both of these valves are often used in the car wash industry. Watch this videos on pressure washer chemicals that we currently offer!